A normal curriculum for those with minimum disabilities. 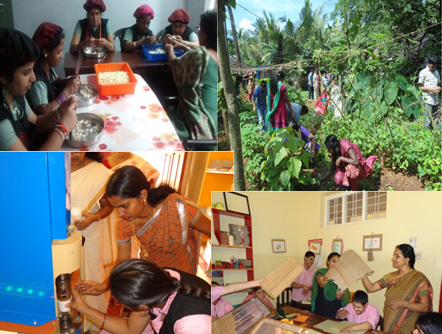 A remedial education programme for children with special needs. Intensive educational programme for achieving ‘inclusion’. Individual education programmes for those who are not able to commute on a daily basis. Yoga exercises and classes for personal hygiene are conducted on a daily basis. Food processing Pickles, chutney/masala powder, squashes, juices, bakery products, sweets sour namkeens and other tasty snacks for cafeteria . Development / Ability Assessment-3 to 18 years. Unit for Children with Cerebral Palsy. Unit for Education the Mentally Challenged (including Down's Syndrome,Epilepsy). Unit for Children with autism. 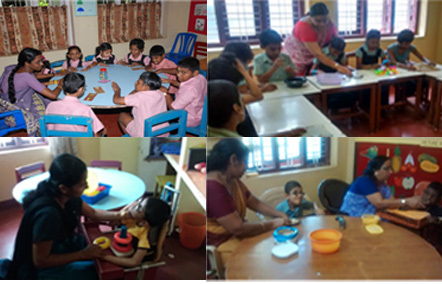 We provide an integrated curriculum that combines educational,therapeutic and rehabilitative aspects covering all disability groups except the visually challenged. The programme provides active family support and counseling services,empowers parents to take a leading role in the care of their children and become effective advocates for their rights. Individualized attention to respond to special needs with group interaction. 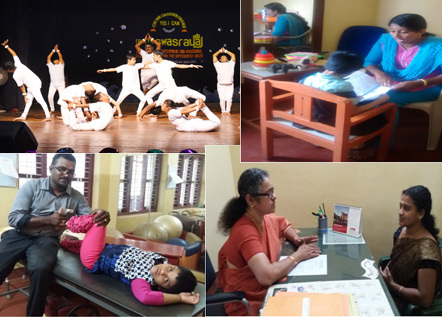 Swasraya does not function merely as a time-bound school,but as a process that continues all through the days.